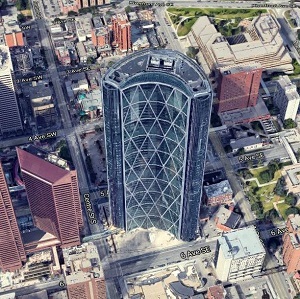 Calgary-based energy giant Cenovus has nearly one million square feet of office space on the sublease market, including the iconic Bow Tower and the new but unoccupied Brookfield Place skyscraper, RENX has learned. Company spokesperson Brett Harris confirmed the sublease space includes both occupied and unoccupied space Cenovus currently has in Calgary to the tune of about 900,000 square feet. Cenovus, with just over one million square feet, is the anchor tenant in the new 56-storey, 1.4-million-square-foot Brookfield Place skyscraper. Initially it was supposed to move into the building in the first quarter of 2018. According to Gigliuk’s research, the total amount of sublease space on the market in downtown Calgary appears to have peaked at year-end 2016 when there was 3.9 million square feet of sublease space which made up 40.9 per cent of all vacant square footage. Today there is close to 3.7 million square feet of sublease space on the market, which makes up 32.8 per cent of all vacant square footage. The overall vacancy rate for the downtown is 25.3 per cent at the end of this year, compared with 22.6 per cent at the end of 2016 and 14.6 per cent at the end of 2015. The total vacant space of 11.2 million square feet is a record. Total inventory for the Calgary downtown office market is 44.4 million square feet with just 422,000 square feet under construction. In 2016, the market experienced negative absorption of 2.87 million square feet but that rebounded in 2017 with positive absorption of 305,220 square feet. Mario Toneguzzi, based in Calgary has 37 years of experience as a daily newspaper writer, columnist and editor. He worked for 35 years at the Calgary Herald covering sports, crime, politics, health, city and breaking news, and business. For 12 years as a business writer, his main beats were commercial and residential real estate, retail, small business and general economic news. He nows works on his own as a freelance writer and consultant in communications and media relations/training.